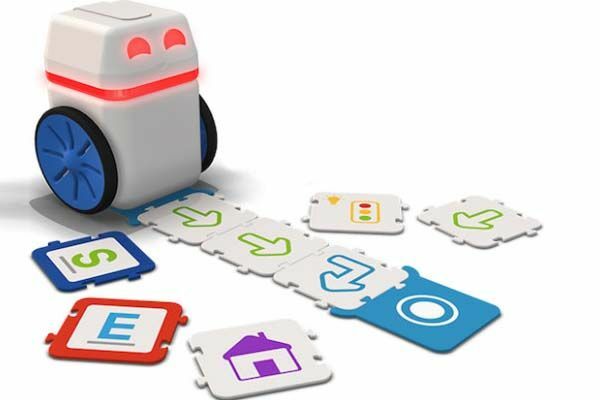 Using many connectible tiles Kubo educational robot delivers a simple and intuitive way to teach kids basic coding skills. They even don’t need a tablet or computer. Like the idea? Let’s keep checking. The Kubo is an innovative and advanced educational robot that consists of two parts: a head and a body. The head measures 54 x 54 x 32mm, and the body is 65 x 70 x 54mm. As we can see from the images, the robot features a simple and compact design. With two wheels, the robot can run om any flat surface based on your commands. Unlike some educational robots that need to control via connected smartphone or tablet such as Codeybot, the Kubo doesn’t have to communicate with a mobile device. Each Kubo comes with a set of TagTiles. Each TagTile features a specific action like forward, right, left, sound trigger, light trigger, speed control, loop and more. Using these puzzle-like tiles, your kid can code various programs in real world. When the head is plugged in Kubo’s body that’s ready on a TagTile program, the robot will automatically run based on the tactile program. The coding package can teach children basic algorithms, sequential thinking, loops, parameters and more. In addition to TagTile coding package, Kubo also features a language package with letter and image TagTiles, and the package comes with a custom app for iOS and Android in order to teach the children words during playing and practicing. Furthermore, its puzzle-like feature allows parents to support their children in learning coding and spelling, and its simple and intuitive design make it easy to use for kids in the age 3-10. In addition, the robot can be used for about 4 hours of continuous play. The crowdfunding campaign for Kubo is in progress on Indiegogo. 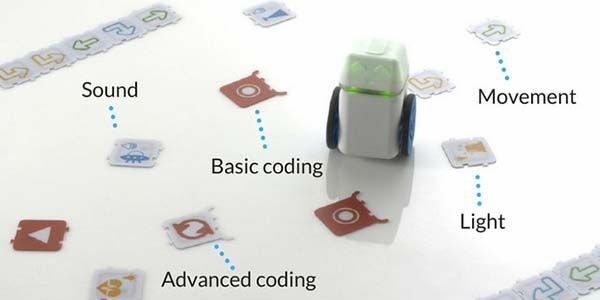 Pledging $269 will let you own the educational robot with both coding and language packages. The bundle will be shipped in June 2017.